Cathedral Preparatory School and Seminary began its illustrious history in the Fall of 1914 at the corners of Atlantic and Washington Avenues in Brooklyn, NY. In 1963 an additional campus was open in Elmhurst, NY. The “two became one” at the Elmhurst site in 1985. 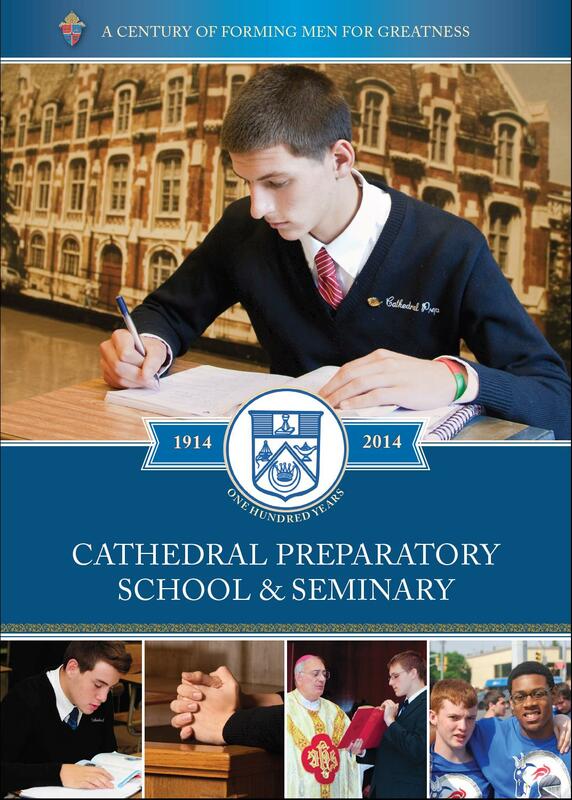 Founded as a preparatory high school, Cathedral was also a seminary; a place where boys could be comfortable discerning a vocation to the diocesan priesthood at a young age. For 100 years Cathedral has stayed faithful to its mission: to form the mind in the ways of academic excellence and the heart and soul in the ways of heroic virtue and belief. Proud to call over 4500 men graduates, the program at Cathedral continues to offer the young men of Kings and Queens counties as well as from the outlying areas, a personalized, superior education in an environment where growth in maturity and grace are encouraged and fostered. Keenly aware that both the Church and society need strong, dedicated leaders, Cathedral is determined to stay faithful to forming men as gifted thinkers and as generous servants. Whether our graduates don the vestments of pastoral service as priests or deacons or devote themselves to caring for an individual family, a young man who experiences the Cathedral spirit will be ready and willing to be a man for greatness.